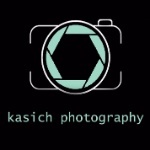 Steven Kasich is a passionate photographer sharing time in two great cities, New Orleans,LA and Philadelphia,PA. Specializing in photography workshops, headshots, commercial imagery and art prints. We have recently expanded into New Orleans and what a blast it has been meeting and photographing some amazing people and capturing wonderful images in this magical city. Please feel free to contact us to set up your photo sessions.